President of Ukraine Petro Poroshenko called on the Council of Cooperation of the Arab States of the Persian Gulf to protect the rights of the Crimean Tatars more actively. 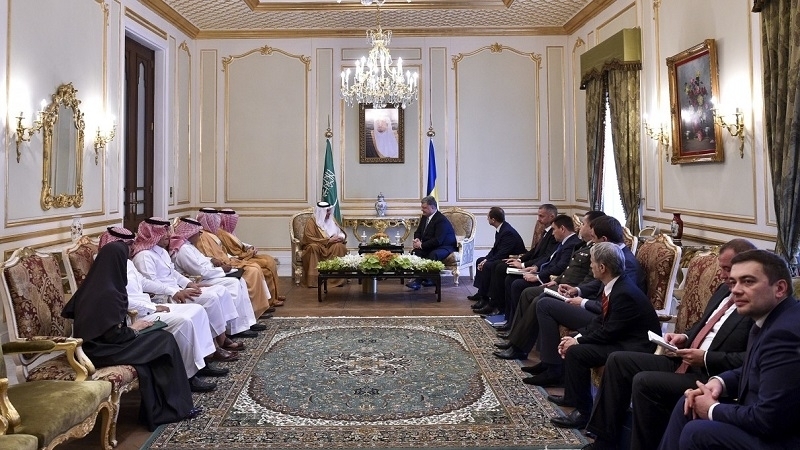 The Head of Ukrainian state made a corresponding statement during a meeting with the Secretary-General of the Council, Abdullatif bin Rashid Al Zayani, as cited by the press service of the President of Ukraine. “During the meeting the President of Ukraine introduced the leader of the Crimean Tatar people Mustafa Dzhemilev and called on the Council of Cooperation of the Arab States of the Persian Gulf to scale up the effort in protecting the rights of the Crimean Tatars in the Crimea occupied by Russia,” reads the message. Furthermore, during the meeting the politicians discussed issues of cooperation between Ukraine and the UAE, current politics and security situation in the Middle East, including the topics of Qatar, Syria and Yemen. Earlier, President of Ukraine Petro Poroshenko together with his wife Marina Poroshenko arrived with a two-day official visit to the Kingdom of Saudi Arabia.